At the head of Loch Shiel, just off the A830 which leads from Fort William to Mallaig on the ‘Road to the Isles’, stands a tall column with the statue of a kilted Highlander on the top. 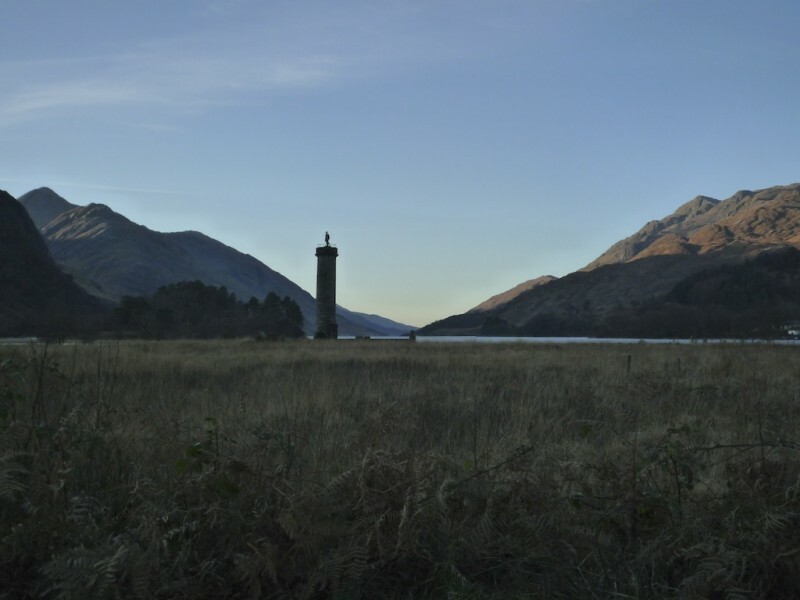 This is the Glenfinnan monument, a tribute to 1,200 Highlanders who gathered in that spot and would later die in battle for the Jacobite cause. Their hopes and ideals were embodied in the young Prince Charles Edward Stewart (Bonnie Prince Charlie, also known as the Young Pretender), who had arrived on their shores just a few months earlier. Born in 1720 to James Francis Edward Stuart (The Old Pretender), the prince had been in exile in France, awaiting his moment to claim the thrones of England and Scotland. A long history of events had contributed to Charles’ belief that he was the rightful heir; as a child he had lived a life of luxury and privilege, and he had been raised to believe in the Divine Right of Kings. Charles’ grandfather, James II of England and VII of Scotland, had been deposed by William of Orange in 1688. James was a Catholic, and he was the last British monarch to hold this faith. His replacement by a Protestant king in the ‘Glorious Revolution’ reflected the fear that many noblemen had for Catholics at the time: for one thing, they still remembered the horrors during the reign of Queen Mary, the Catholic daughter of Henry VIII, when Protestants were widely persecuted. The arrival of Bonnie Prince Charlie in Scotland was badly timed, because many of the clan chiefs believed that the time was not yet ripe; however, most of them united behind his cause, and in August 1745 they rallied to the shores of Loch Shiel, to see and hear their new leader for the first time. At Glenfinnan, the prince raised his father’s standard in front of a massed gathering of Highlanders, and vowed to lead his kinsmen to victory. Less than a year later, many of these brave men lay dead or wounded on the battlefield of Culloden, defeated by the forces of George II of England; and Bonnie Prince Charlie was fleeing for his life, in a daring escape through the glens to the west coast and the islands, aided by his compatriots who unhesitatingly risked their lives for him. The young prince eventually escaped back to France, his hopes dashed, leaving behind him a country that would suffer for his failed aspirations for many decades to come. The monument at Glenfinnan was erected in 1815 by Alexander MacDonald of Glenaladale, in memory of the clansmen who died for Charles’ cause. Now in the care of the National Trust for Scotland, it is the venue for hundreds of Jacobite enthusiasts who gather there every August to commemorate the prince’s coming. Love history. This is great!